Tuesday July 30, 2018 - The Central Organisation of Trade Union (COTU) Secretary General, Francis Atwoli, has urged Luhya community leaders to meet and resolve their political differences in preparation for the 2022 presidential polls. Speaking at a function Kakamega on Sunday, the COTU boss asked Western Kenya leaders to call for a crisis meeting to resolve their differences in order to unite the Luhya nation. Atwoli said a united community will have a strong bargaining power in the 2022 succession politics. “Other regions are meeting and mapping out the way forward and we should not be left out," said Atwoli. 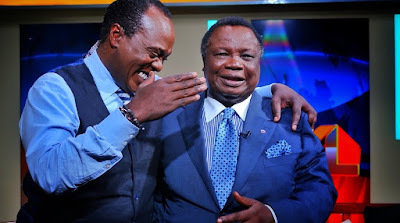 “We cannot sit and wait for 2022,” Atwoli added. Atwoli also claimed that politicians from other communities have been taking advantage of the Luhya disunity to invade the region during elections as they scramble for split votes. “If we really want to have a bigger stake in the 2022 leadership, then this is our time," Atwoli said.